Mick Harris will be known to longtime fans of the grindcore genre. He played on the first several Napalm Death records and went on to play in Painkiller and Scorn before deep-diving into electronic music. Such electronic projects as Lull, the (as it later became) Scorn, and others too numerous to list fill his resume, and now he’s putting out a new record under the name Fret. 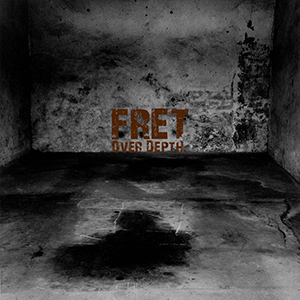 The album Over Depth is on sale as a double LP + download code and digital and officially comes out on October 13, 2017 on Karlrecords out of Berlin. Fret might be described as something like the electronic era of Scorn but much busier and with more texture. But do yourself a favor and check it out for yourself and order it at the Karlrecords Bandcamp. There’s a bio about Harris’ work at that page. Photo: Mick Harris’ Soundcloud page. This entry was posted in News and tagged electronic, Karlrecords, mick harris, Napalm Death, scorn by Editor. Bookmark the permalink.